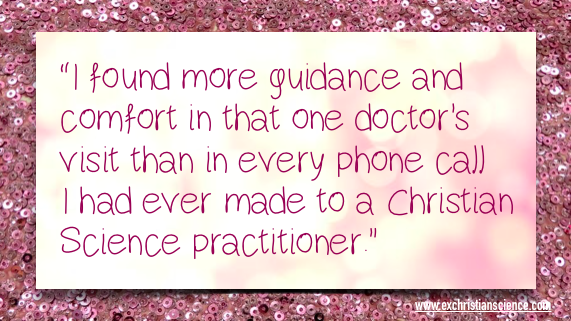 The on-going “I went to the Doctor” is a joint project with kindism.org which catalogs first hand experiences of Christian Scientists and former-Christian Scientists who sought medical care or treatment outside of Christian Science. We hope that by sharing our experiences using medical care that it will help break down the stigma and fear! 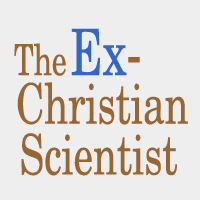 This series is NOT intended to bash CS so much as to show that going the doctor is a reasonable thing to do and that it is not uncommon for Christian Scientists to do so. 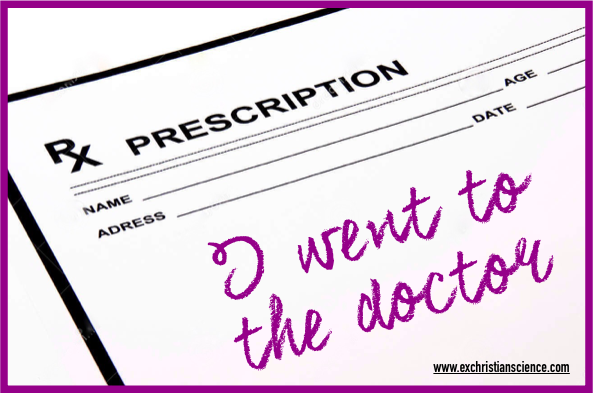 All posts in this series are categorized and tagged “I went to the Doctor.“ For more stories, visit kindism.org‘s “I went to the Doctor” page.